POWRi & Sunshine-A Great Combination! Macon, IL. 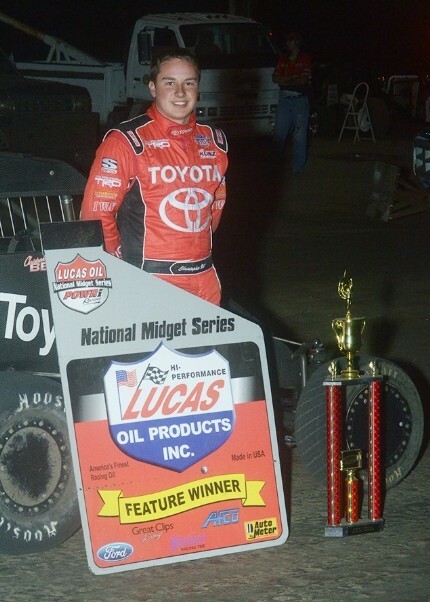 – Christopher Bell of Norman, Oklahoma took his fourth POWRi Lucas Oil National Midget Series victory of the 2015 season and the 19th of his career, doubling down for the third night of Illinois SPEED Week presented by Toyota at Macon Speedway in Macon, Illinois. Matt Howard of Lawrence, Kansas earned his first career POWRi Speedway Motors 600cc Outlaw Micro Series victory, becoming the fifth different winner throughout the 2015 season. Bell, piloting a Keith Kunz/Curb-Agajanian Motorsports Toyota-powered Bullet started on the pole of the 30 lap feature event after claiming a heat race and qualifier win. The Norman, Oklahoma native shared the front row with teammate Tanner Thorson of Minden, Nevada. Leading the field to green, Bell was able to gain the early advantage over Thorson until Jake Neuman of New Berlin, Illinois brought out the yellow on lap 11, while Rico Abreu simultaneously spun in turns three and four. Holding control, Bell would work to stay ahead of Thorson until the red flag was brought out for the flipping car of Jake Neuman, who collected Jason McDougal. Back to green flag racing, it became apparent that the front runners had found the rubber on the 1/5th mile Macon Speedway, as the top three led the chase towards lap traffic. The action would be slowed as contact between Brad Mosen and Hayden Williams would leave Williams’ machine parked off turn two. With the field bunched back up, the top three consisting of Bell, Thorson and Felker would start working away from the field as Alex Bright tried to work past Austin Brown for the fifth position. On lap 24, the caution would fly for Nathan Smee’s spun machine. As the duo of Bell and Thorson ran one-two, Bright would finally capture the fifth position from Brown. With 28 laps down, Gage Walker would bring out the caution as his machine came to rest facing the opposite direction along the back stretch. Coming back to green, Thorson wouldn’t be able to challenge for the lead as Bell would cross the line in first, followed by Thorson and Felker. 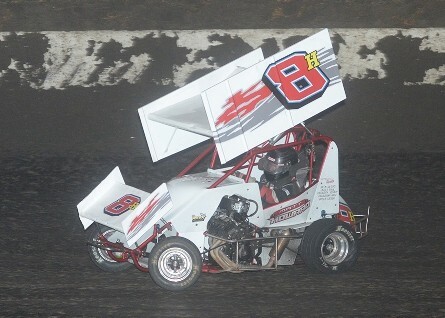 Coming in fourth was Darren Hagen and rounding out the top five was Alex Bright. “You don’t know how hard to run when you’re out front, you don’t know how much to need to pace yourself to keep your tires underneath you on a race track like this,” said Christopher Bell. Matt Howard of Lawrence, Kansas became the fifth different winner in 2015 as he convincingly stole the 20 lap POWRi Speedway Motors 600cc Outlaw Micro feature after starting third behind Dereck King and Garrett Duff. Powering by both Duff and then race leader King, Howard would take the lead on lap three and never look back. A career-best second went to Garrett Duff of Weldon, Illinois, while Joe B. Miller took third. Nathan Benson came in fourth, and Derrik Ortega with a career-best rounded out the top five. “We jumped in the micro and tried to get a few laps and it worked out well to come here and get a top five on this track,” said Joe B. Miller. “I just want to thank all my sponsors and friends for coming out,” said Garret Duff with a career-best third place finish.